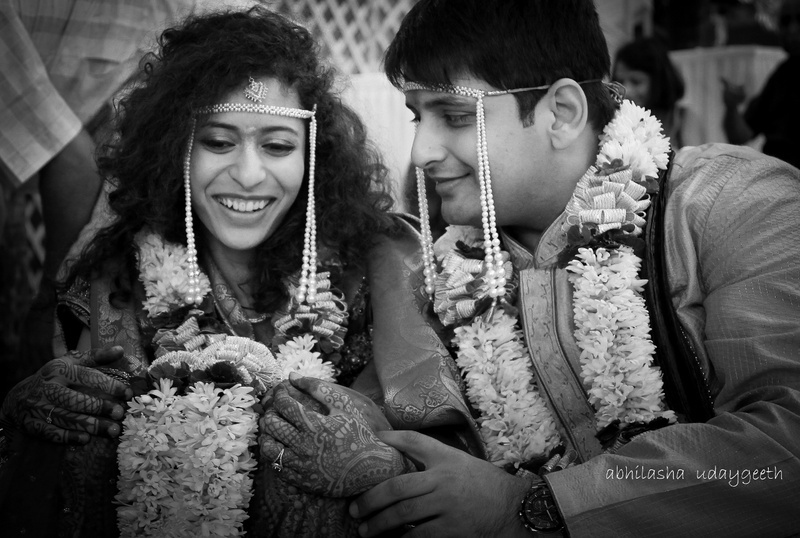 Neha and Dhruv had a special affinity towards the aqua theme which clearly reflected in every frame of their wedding. 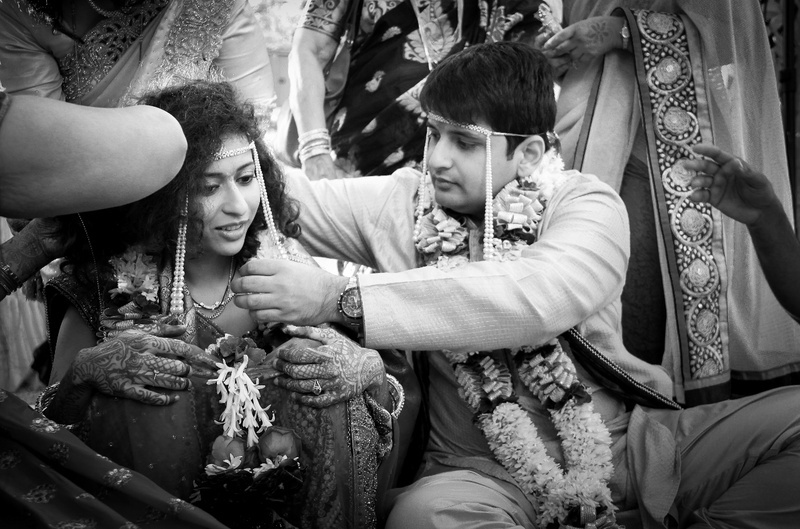 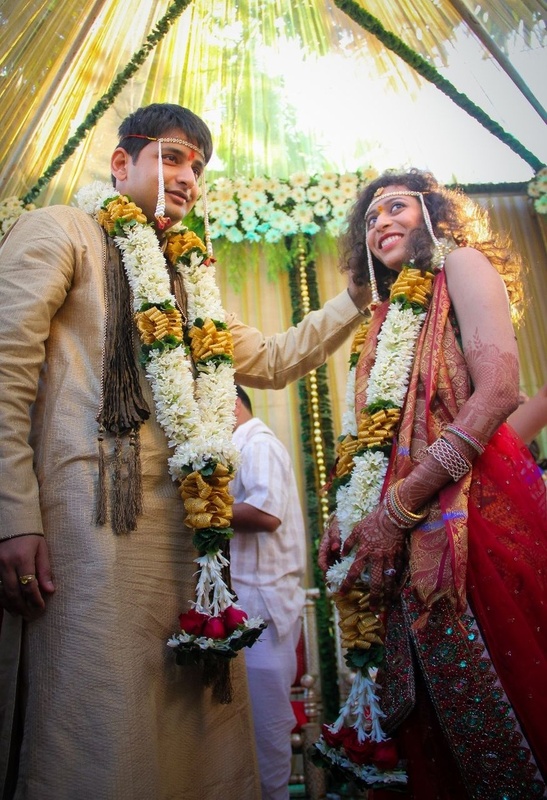 They challenged the age old tradition of getting married in a mandap and transformed the wedding venue into an earthy-setting with a gazebo, where they exchanged garlands. 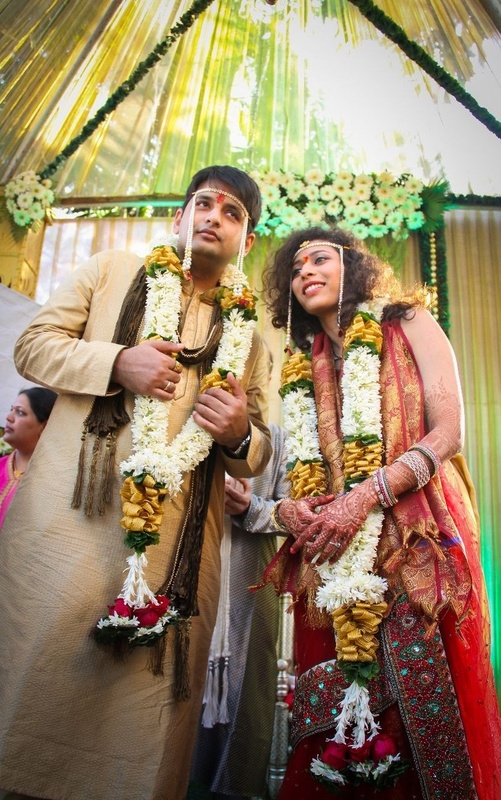 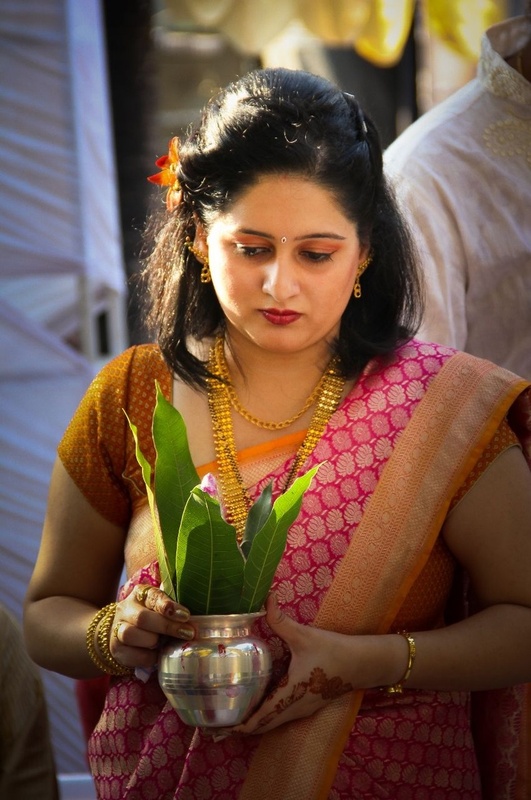 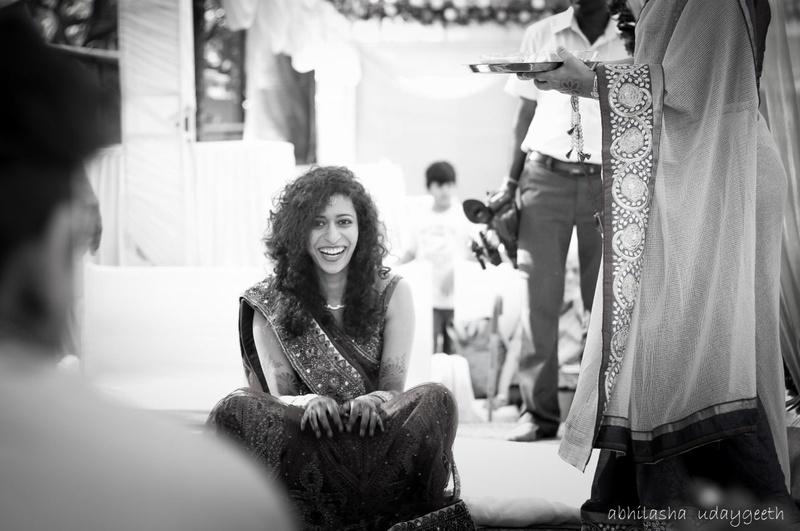 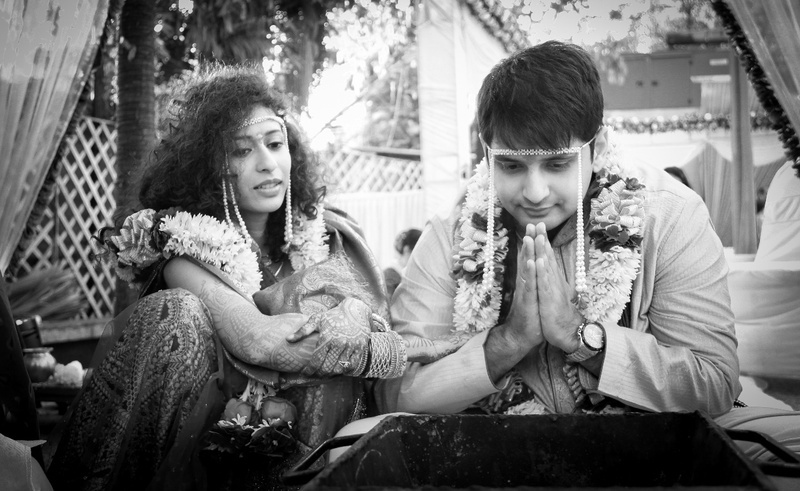 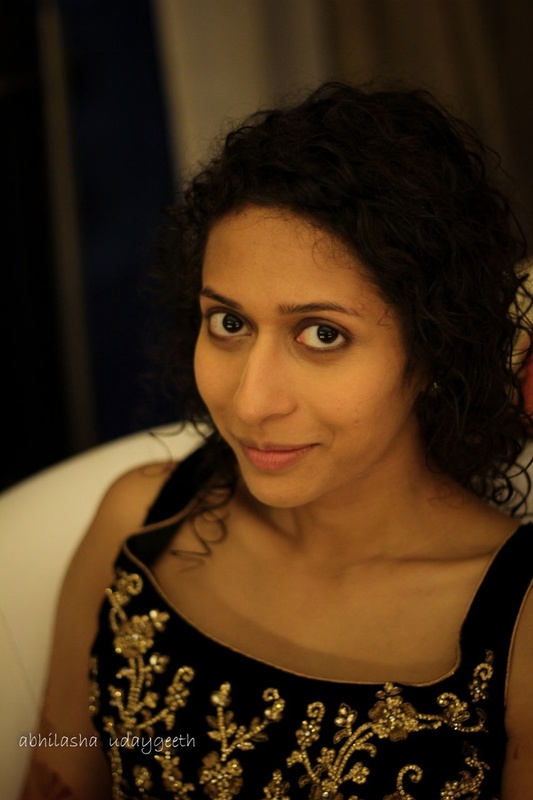 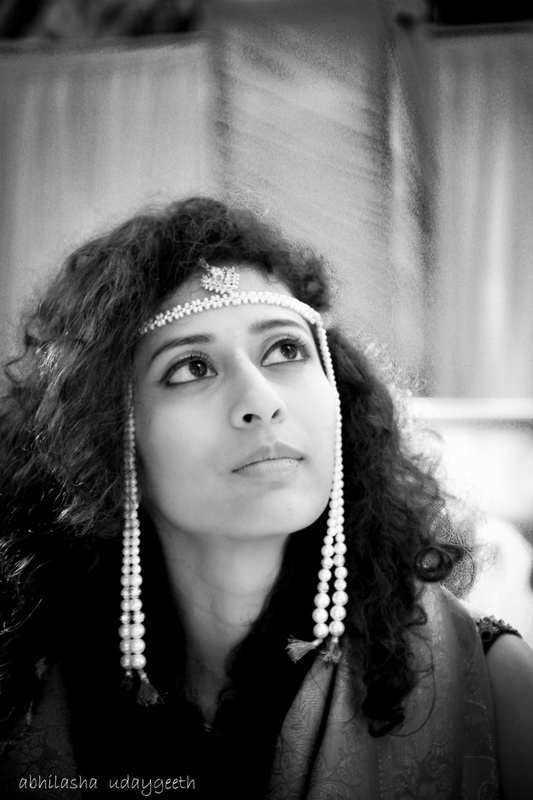 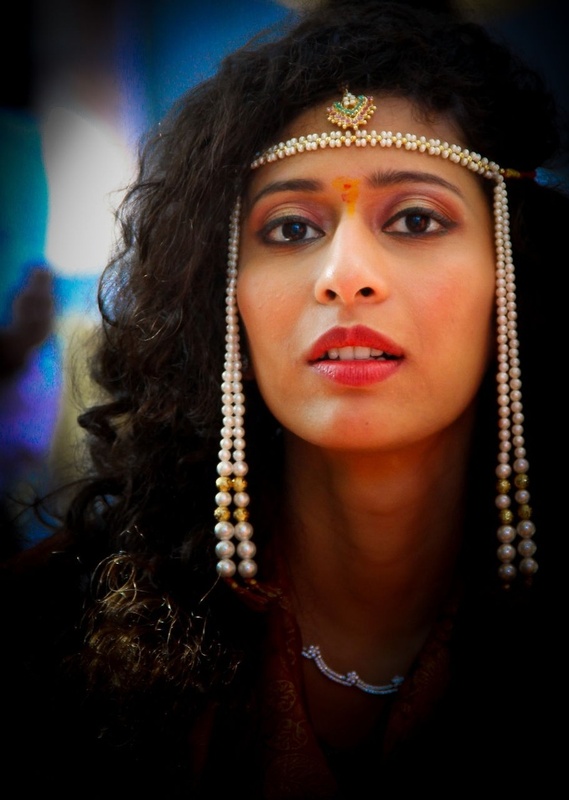 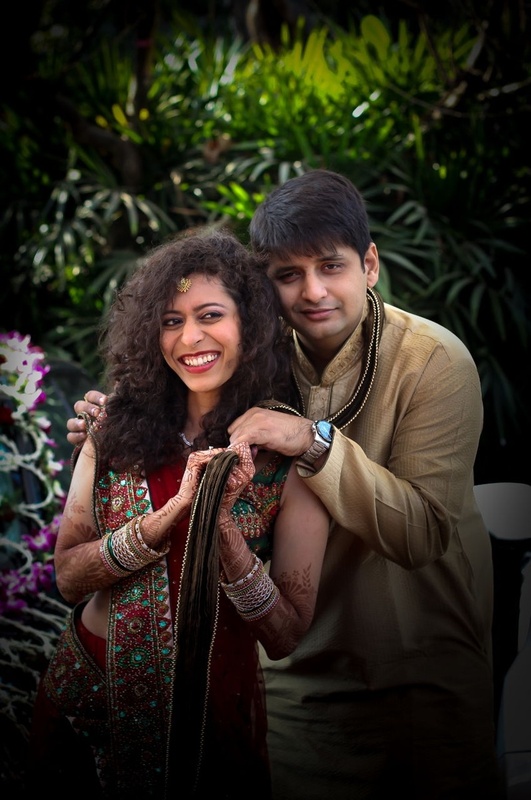 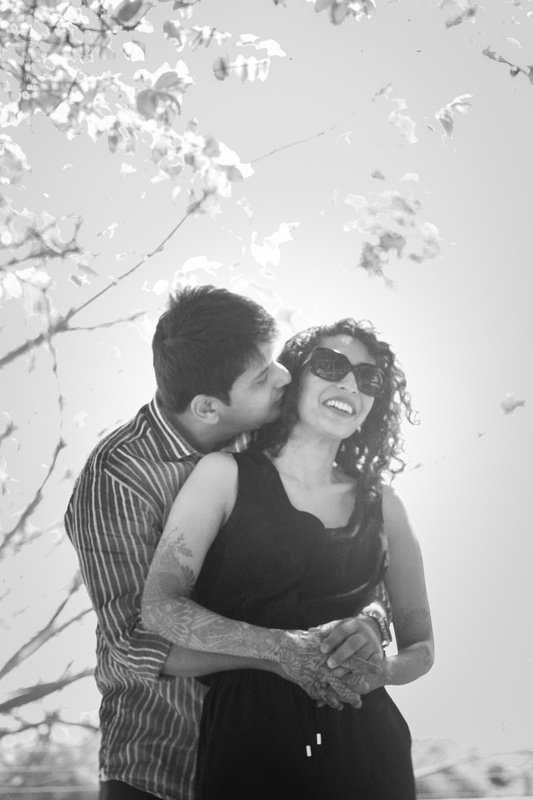 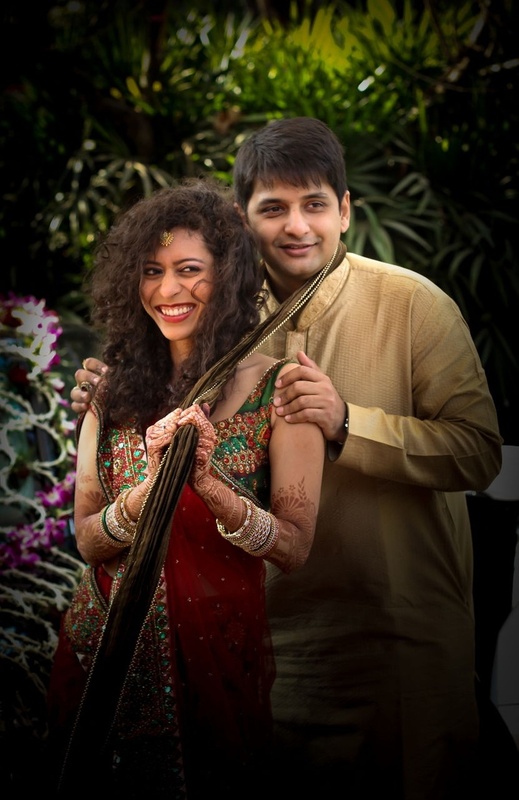 They chose Fern Residency in Chembur for the marriage ceremony that had a mandap set up right outside the location. 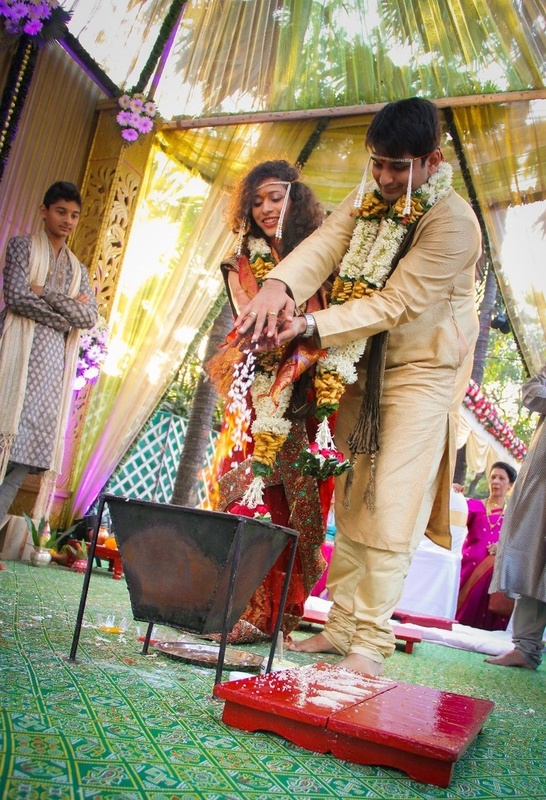 It had sheer drapes, mini bouquets, breezy atmosphere and a stylish havan kund placed right in the center. 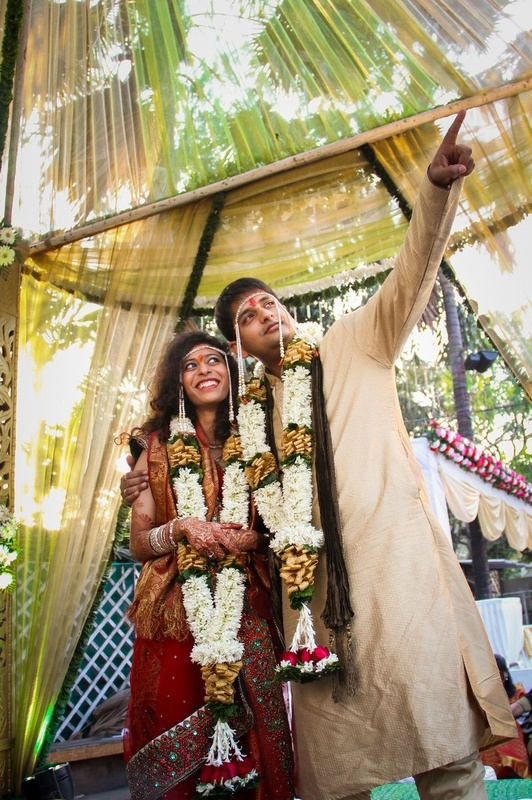 The open-air surrounding also added a romantic and an intimate touch to the wedding. 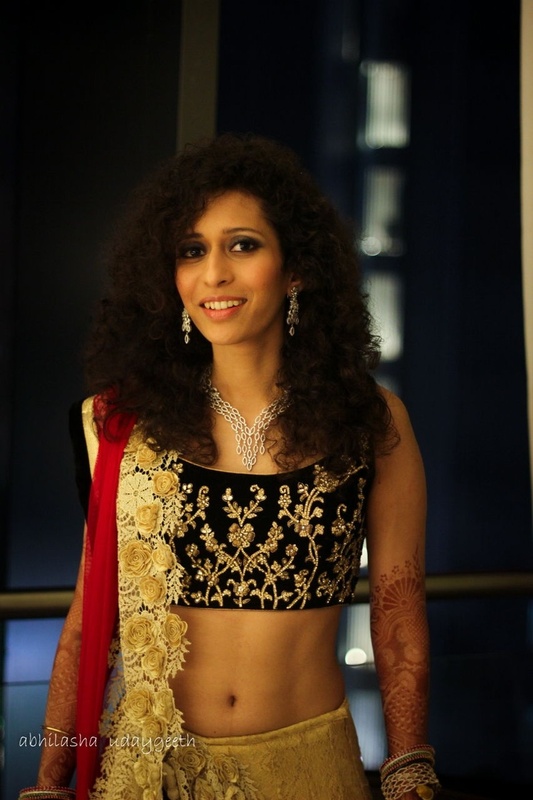 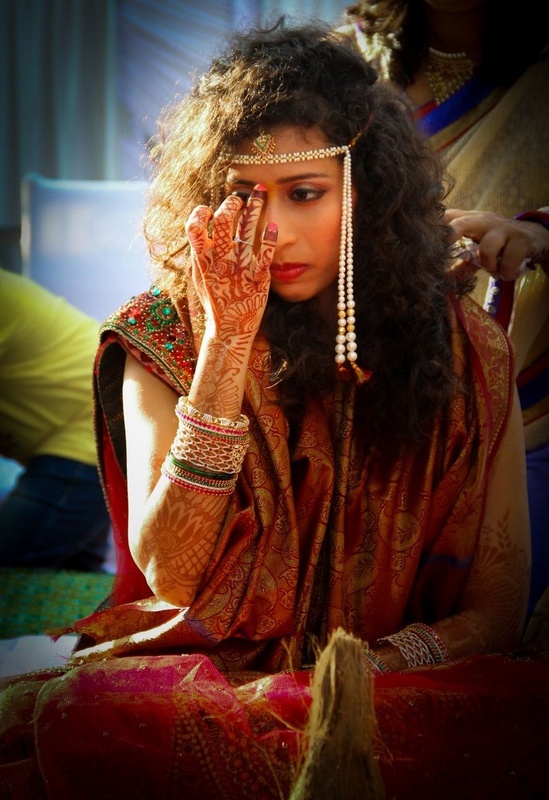 The bride wore a deep maroon lehenga and had a messy hairstyle that gave her a unique appearance. 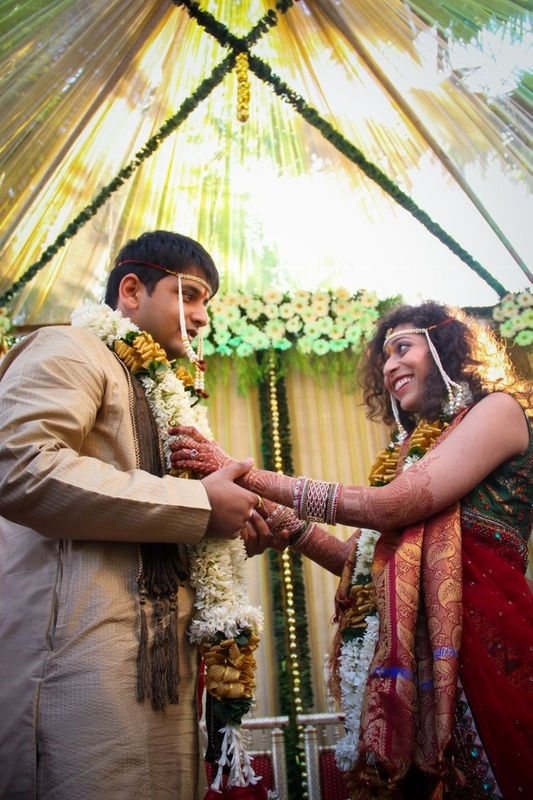 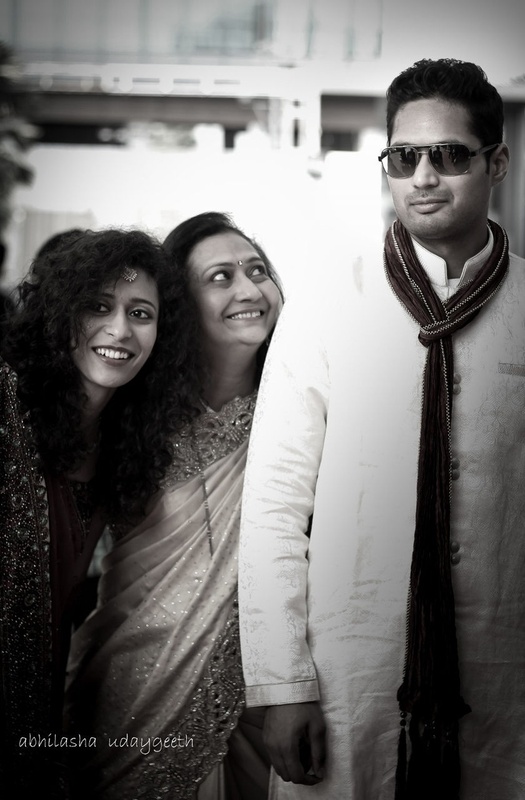 The groom wore a simple light brown kurta and had the traditional mundavalya on. 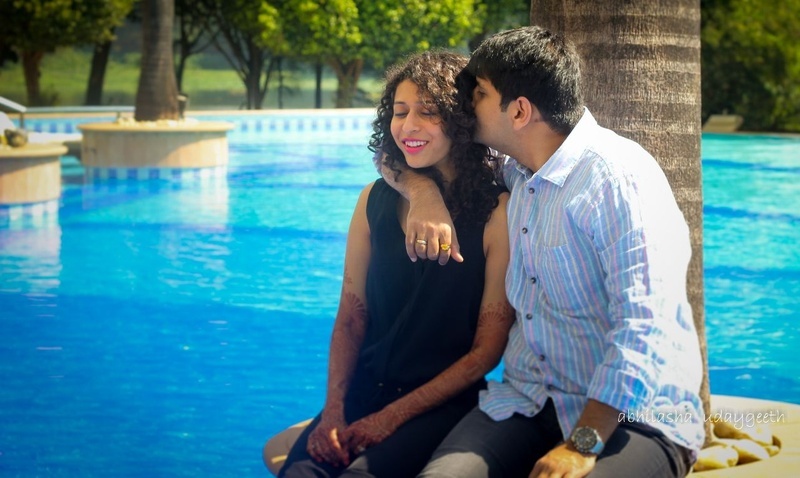 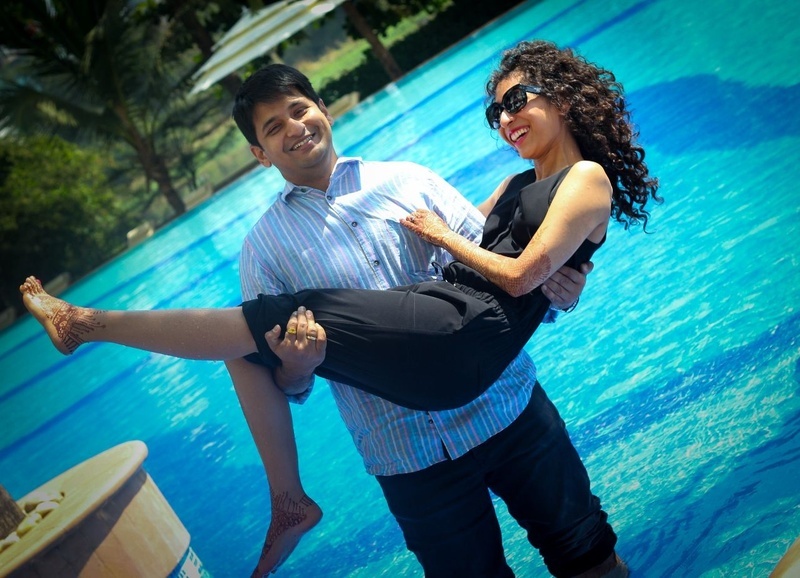 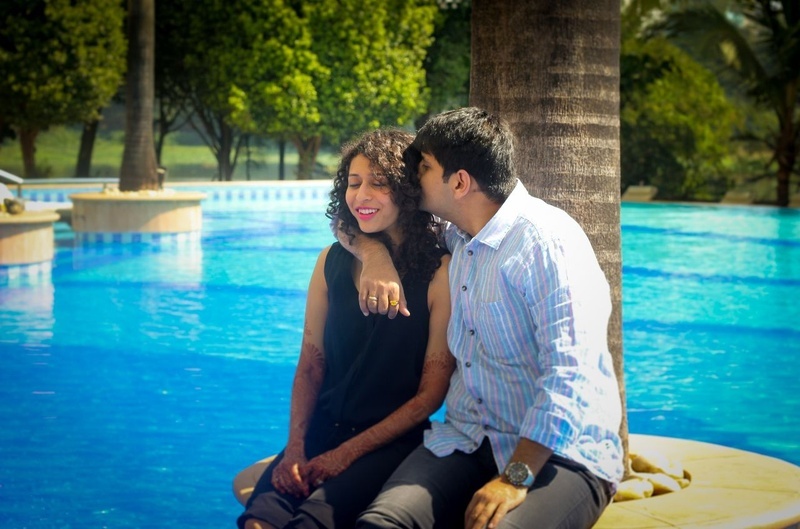 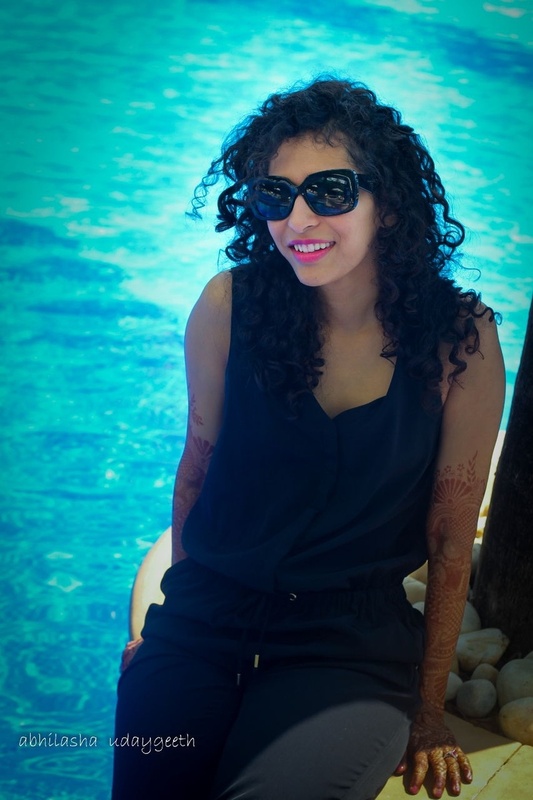 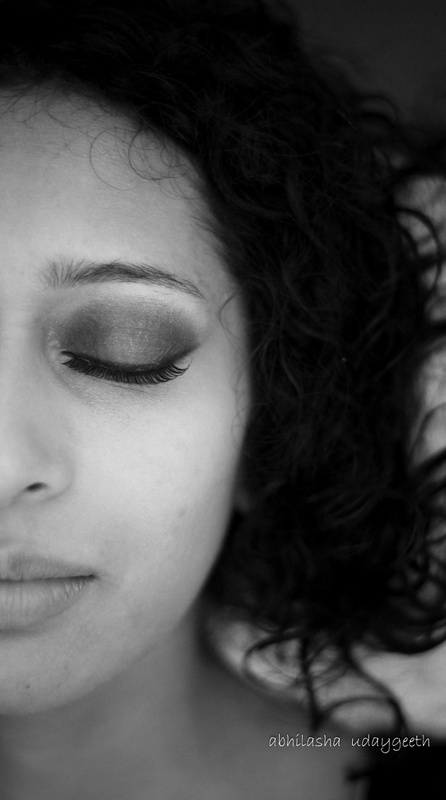 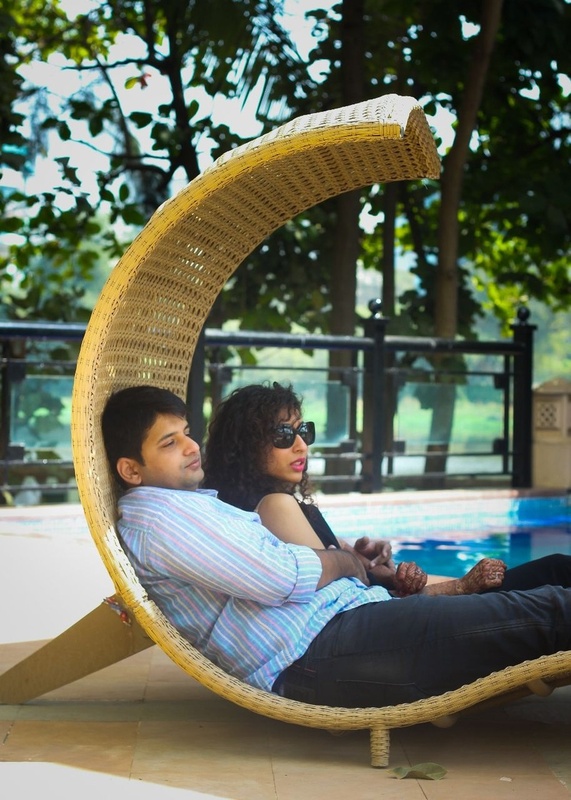 The pre-wedding photographs by the pool were taken at Powai’s Rennaissance Hotel. 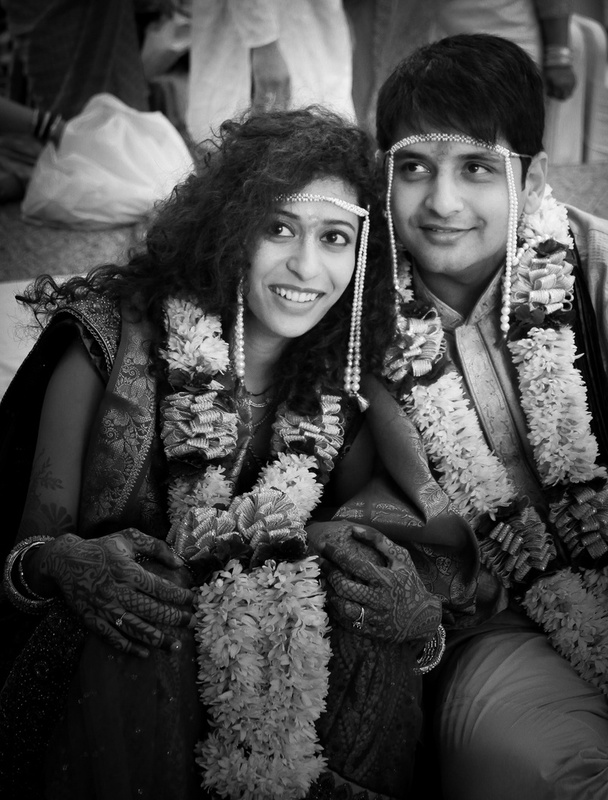 With a cool shade and a mehendi on, Neha looked very pretty while Dhruv looked relaxed in an aqua themed shirt. 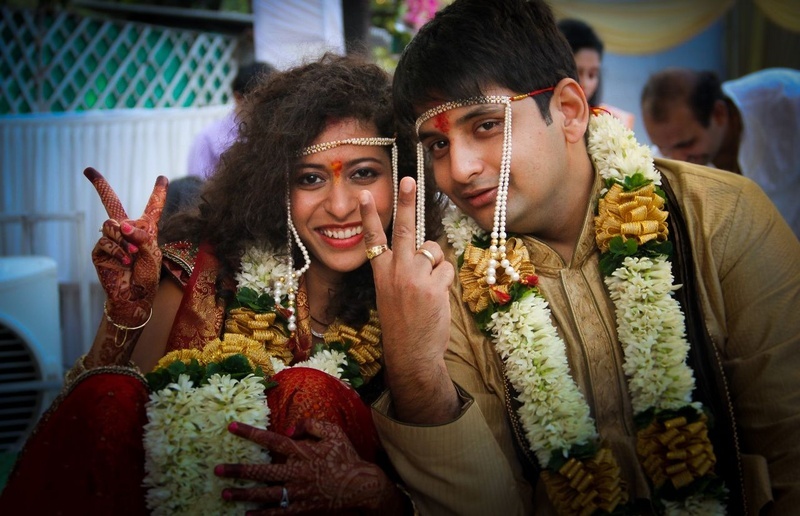 Want to know how to keep things easy right before the marriage?